Damien Lewis reveals the story of a Second World War mission to destroy a supposedly impregnable Nazi fortress. In the hard‐fought winter of 1944, the Allied advance through northern Italy stalled on the fearsome defences of the Gothic Line. Two men were sent in as part of a last-ditch effort to break the deadlock. One was Captain Mike 'Wild Man' Lees of the Special Operations Executive, a clandestine warrior almost without compare. The other was legendary SAS commander Major Roy Farran, who parachuted behind the lines against all orders. Their mission was to raise a polyglot army of Italian partisans, escaped Russian prisoners of war, former French Foreign Legionnaires and even German deserters, to lay waste the enemy's impregnable headquarters. The German HQ commanded 100,000 elite troops manning the Gothic Line. If the daring raid succeeded, it would enable Allied forces to punch through. If it failed, few would return alive. 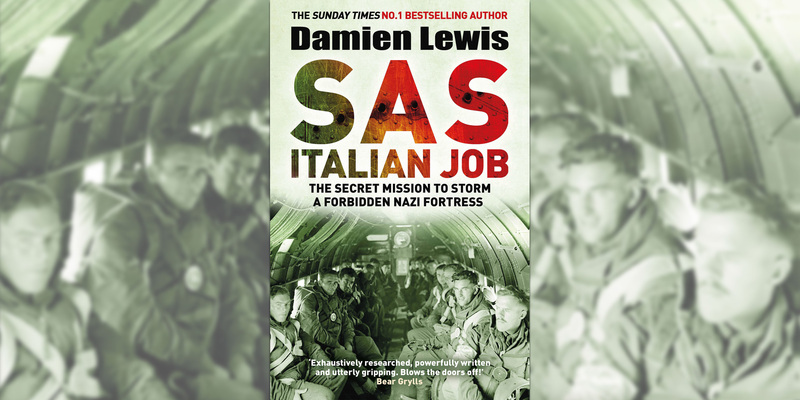 Relying on specially declassified files, eyewitness testimony, and working with the families of the figures involved, Damien Lewis relates an untold epic of daring, courage, ruthless rule‐breaking and ferocity, plus shocking high‐level betrayal. There will be a book signing with the author after the event. Formed in 1940, SOE was an underground army that waged a secret war in enemy-occupied Europe and Asia. Its agents demonstrated incredible courage and resourcefulness in their guerrilla war.